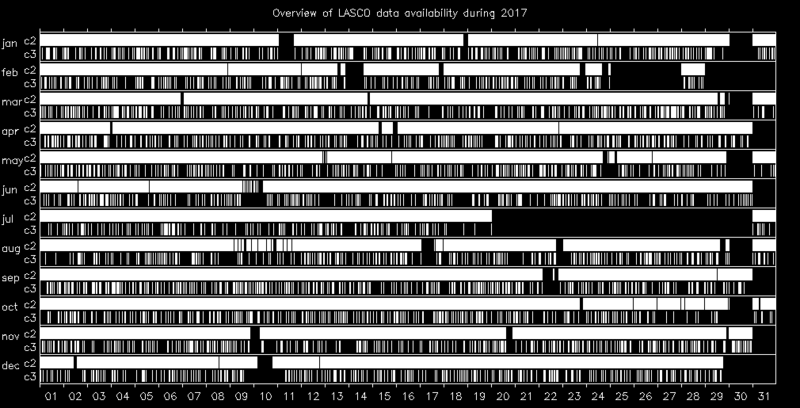 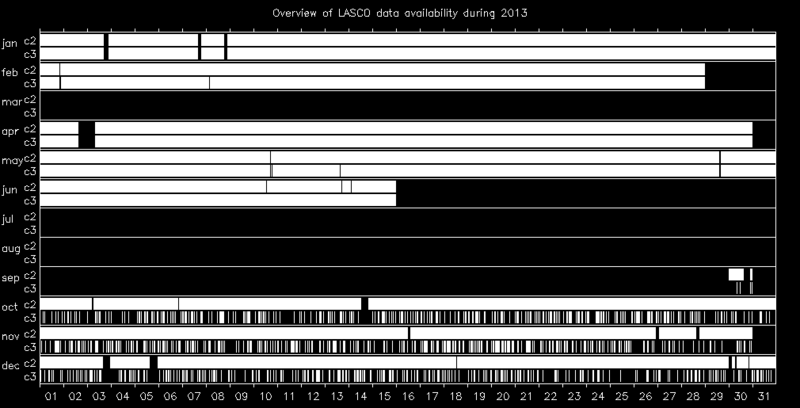 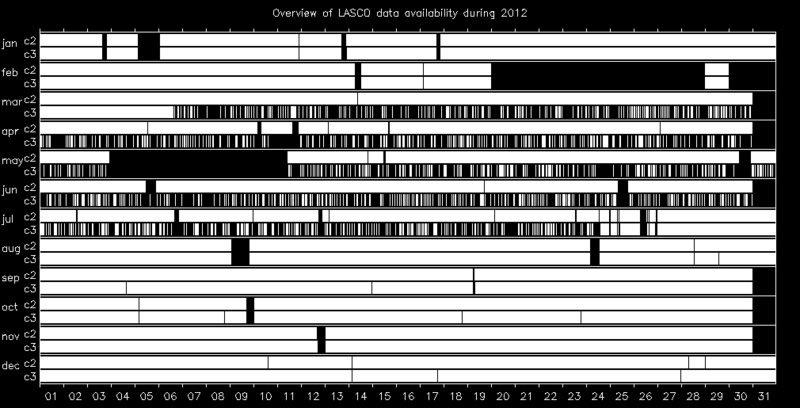 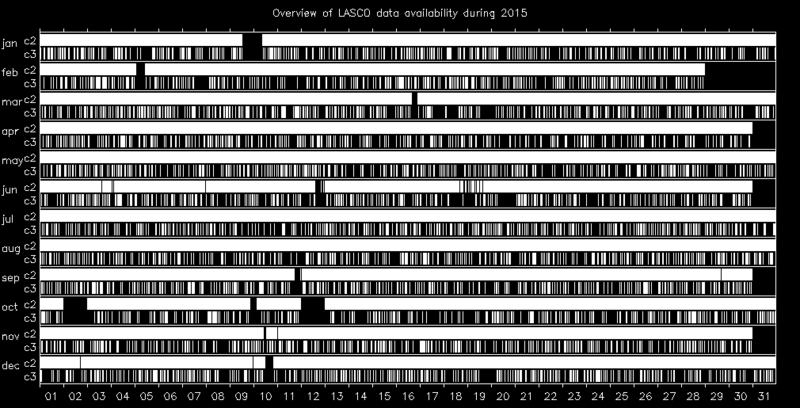 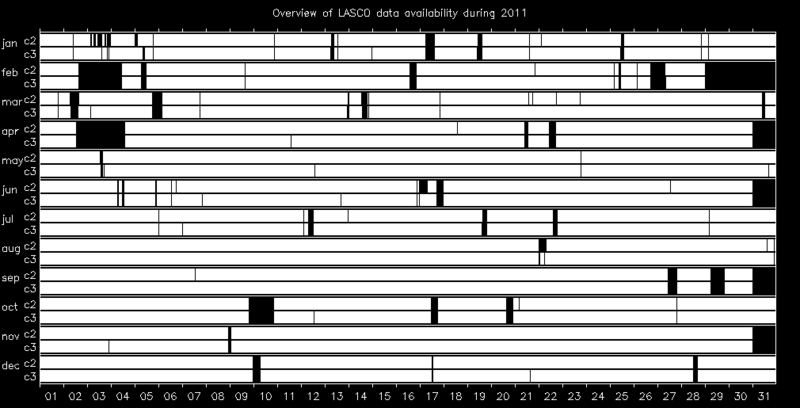 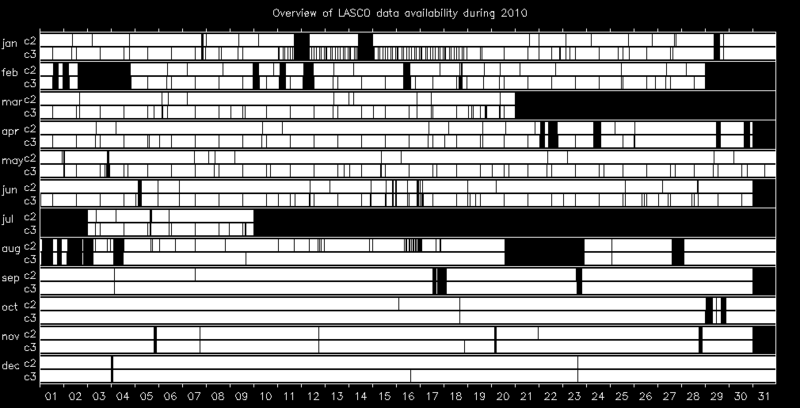 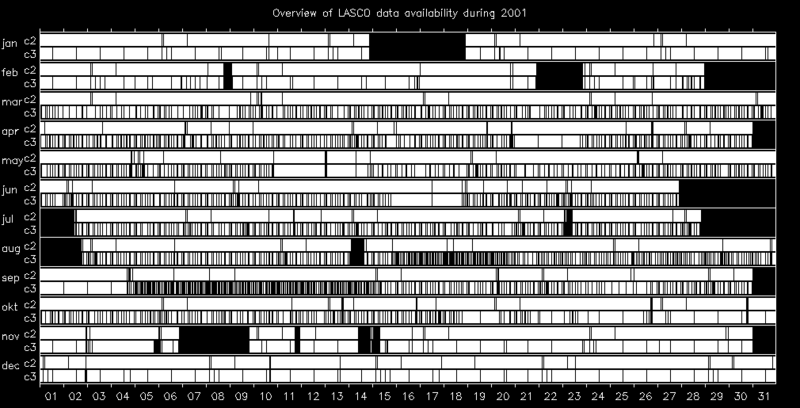 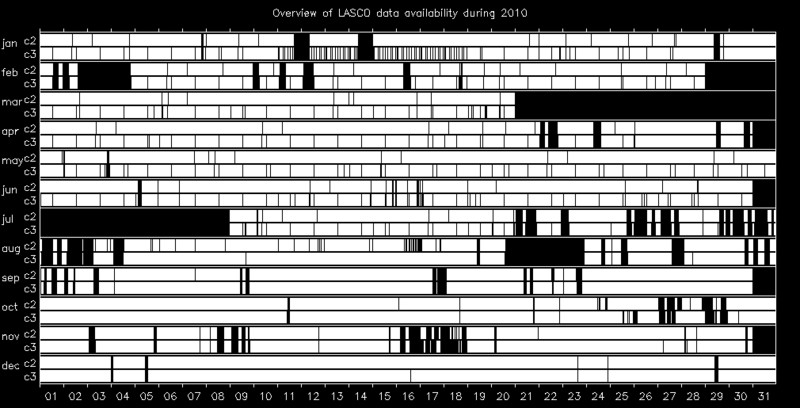 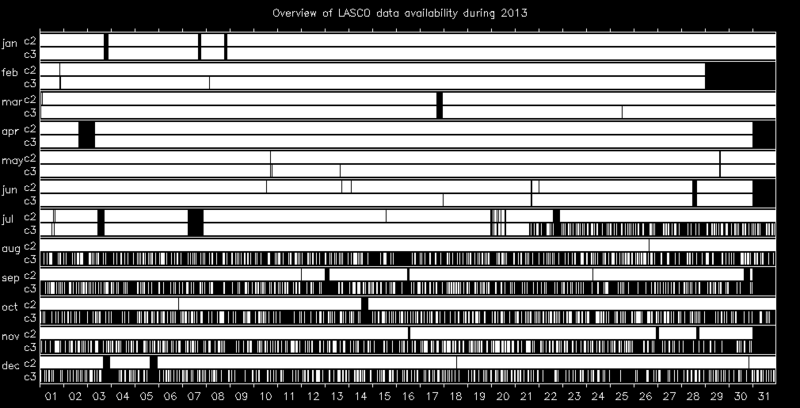 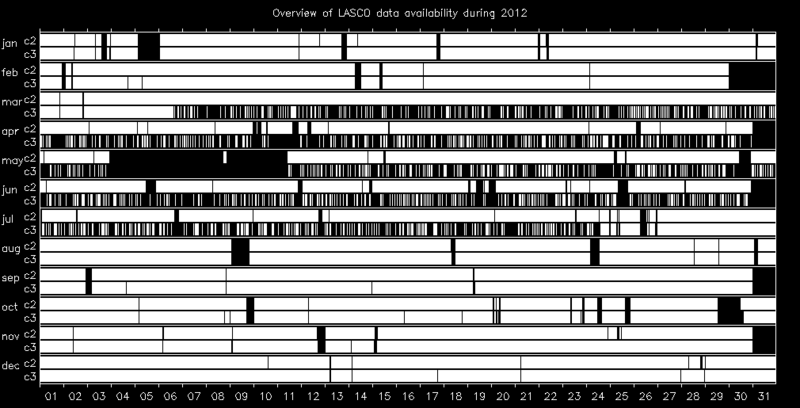 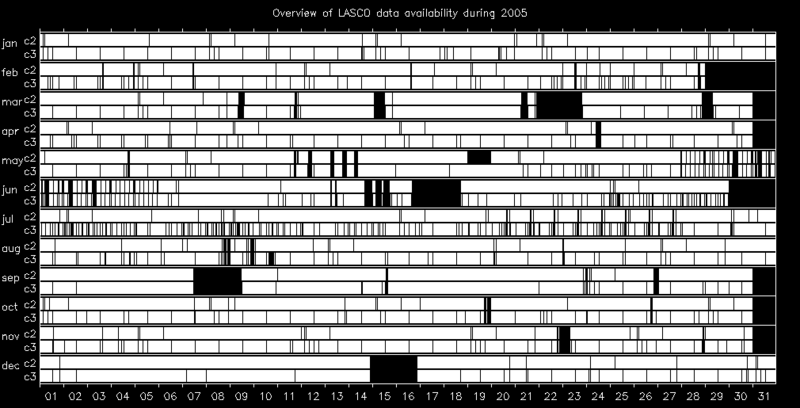 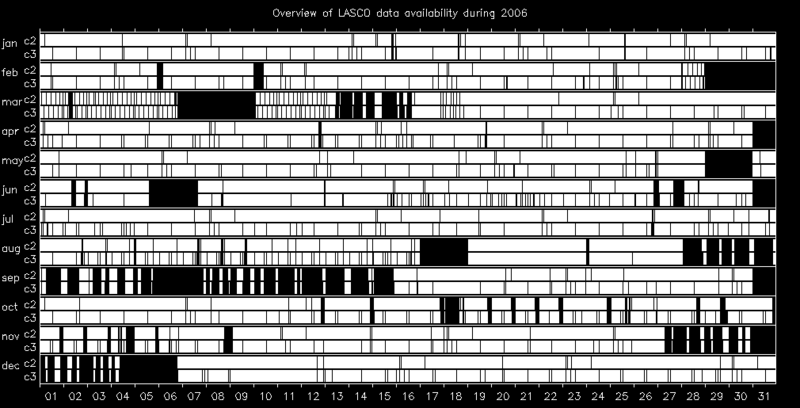 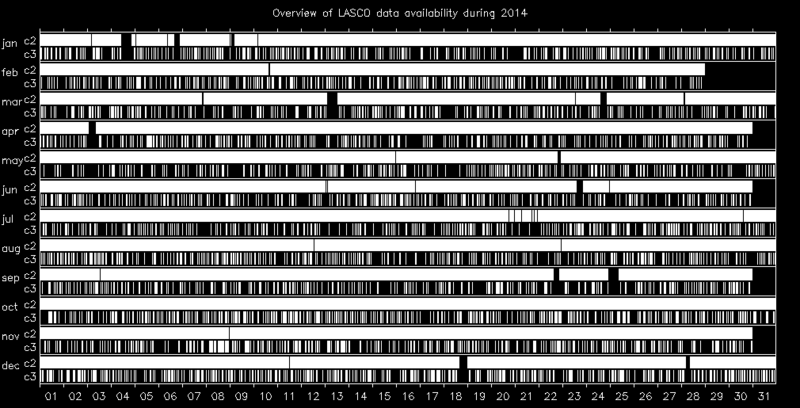 Automatically generated by CACTus using LASCO C2/C3 observations. 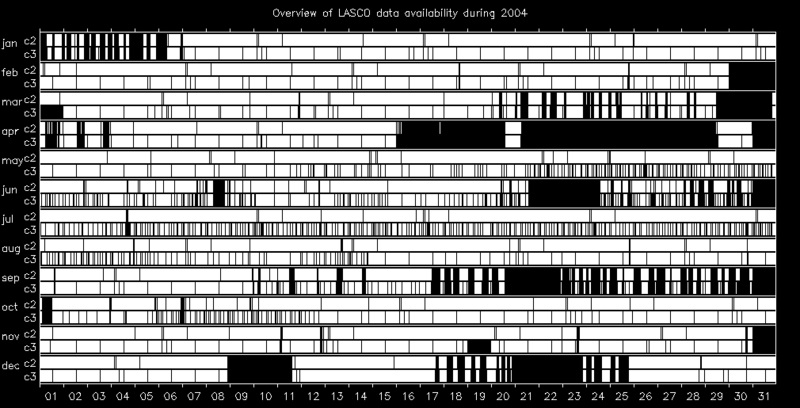 CACTUS autonomously detects coronal mass ejections (CMEs) in image sequences from LASCO or SECCHI. 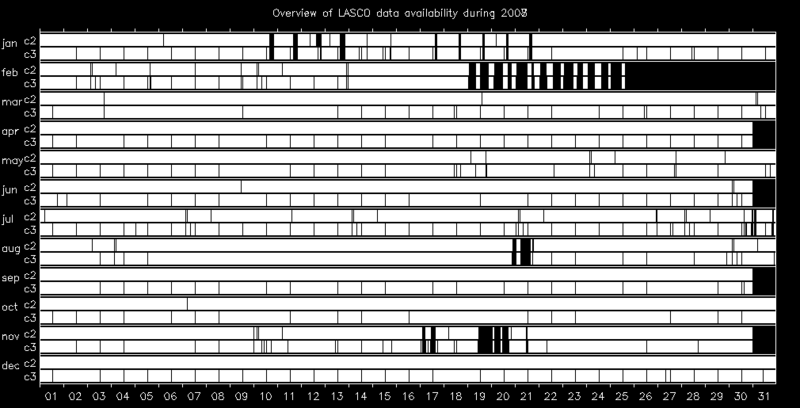 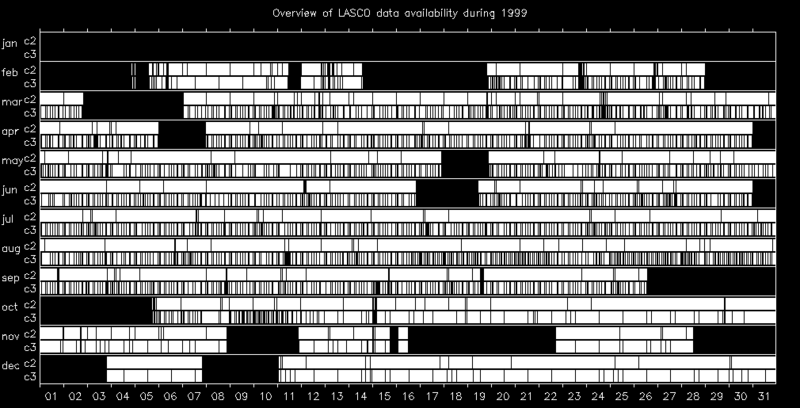 The output of our software is a list of events, similar to the classic catalogs, with principle angle, angular width and velocity estimation for each CME. 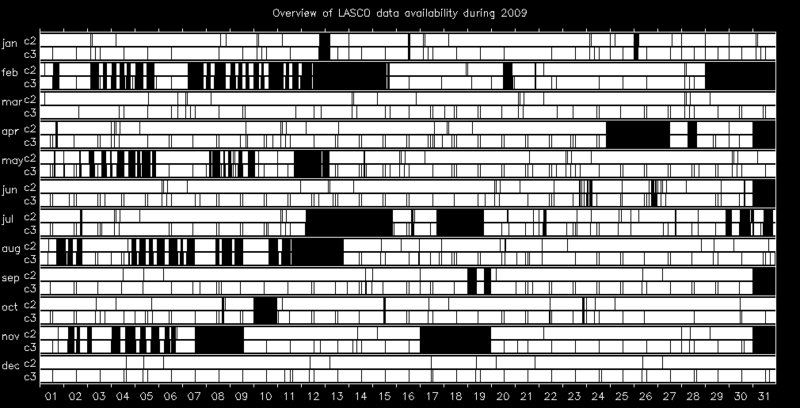 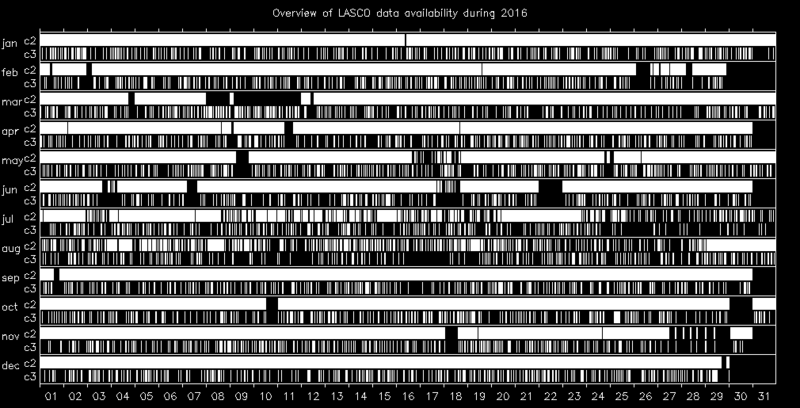 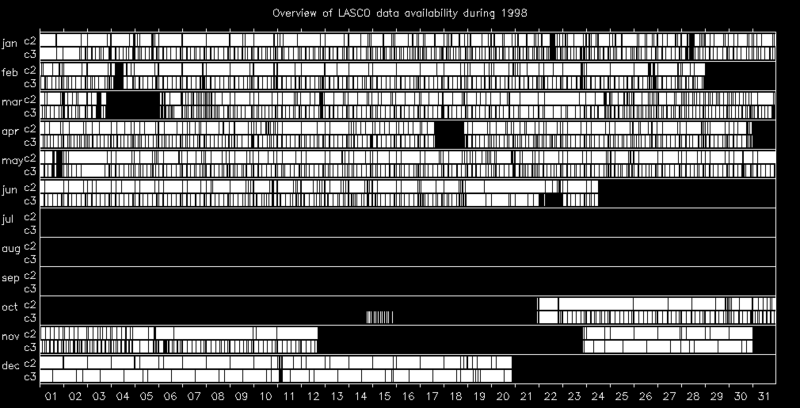 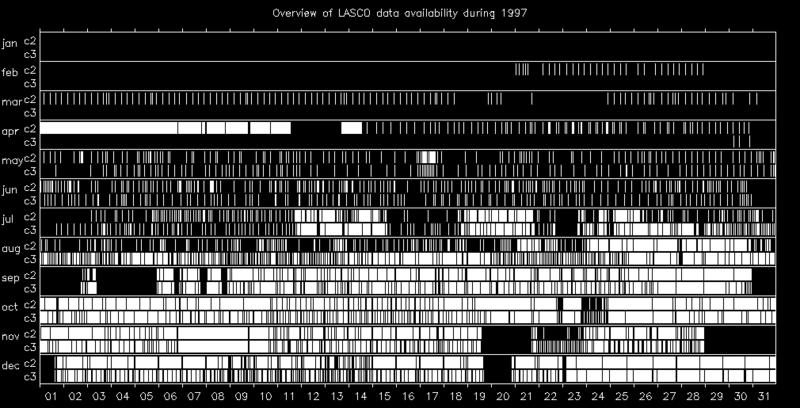 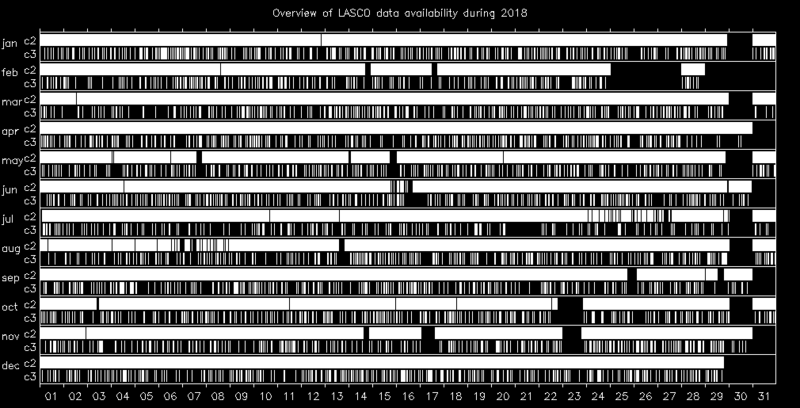 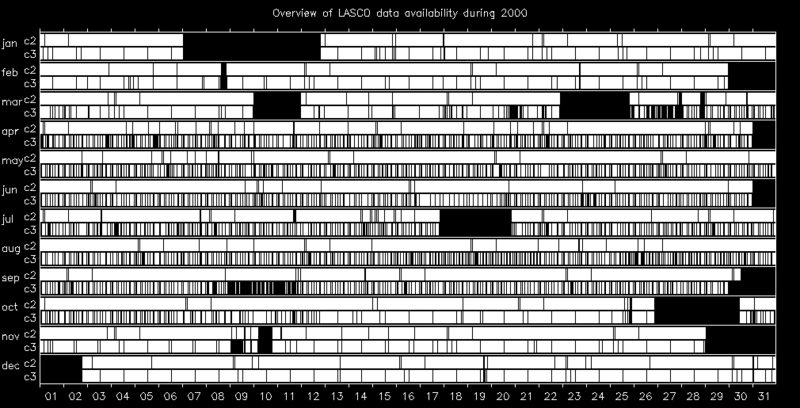 In contrast to catalogs assembled by human operators, these CME detections by software can be faster, which is especially important in the context of space weather, and possibly also more objective, as the detection criterion is written explicitly in a program. 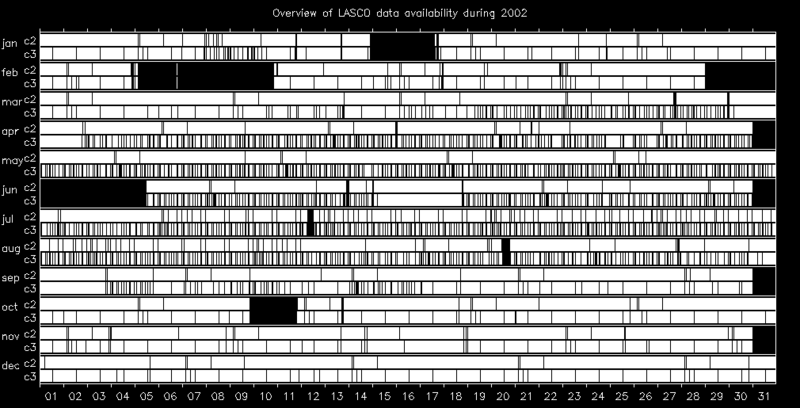 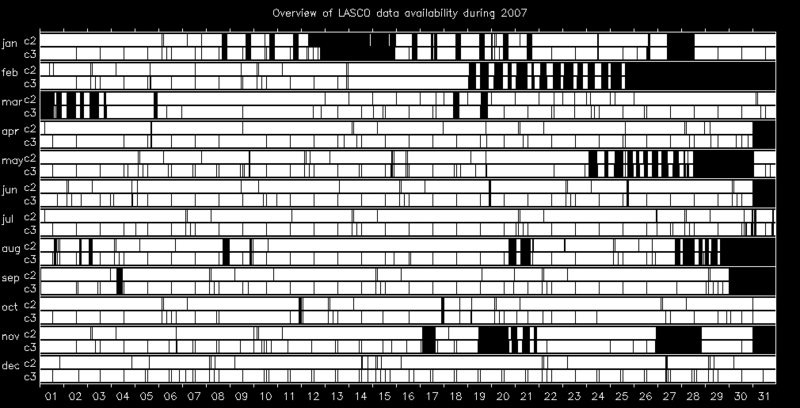 The CME list is automatically generated by CACTus. 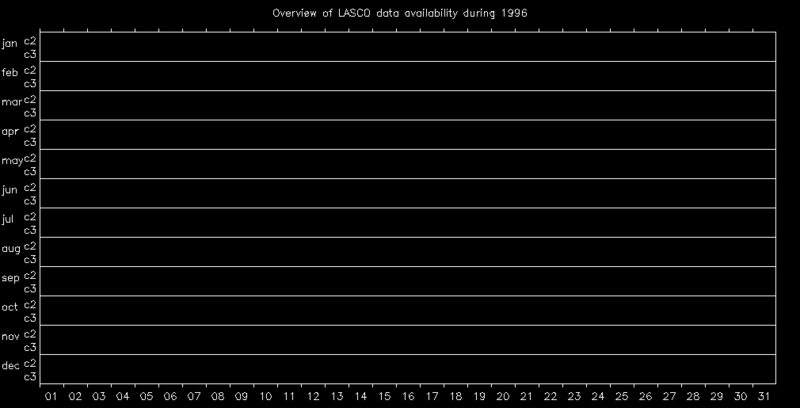 There is no human intervention or supervision at this stage. 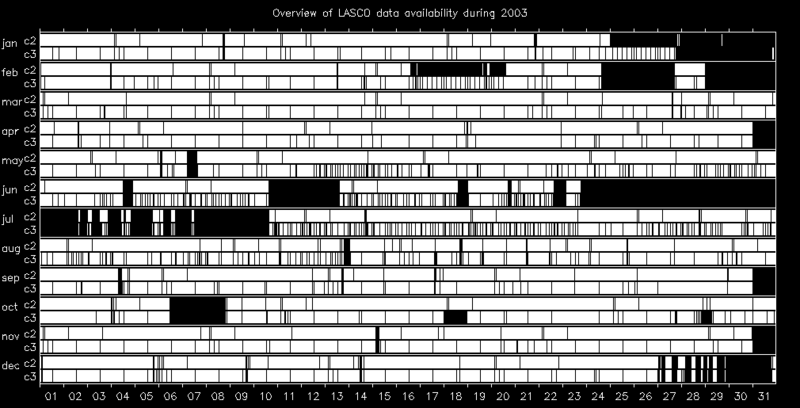 Therefor we ask to use caution when using the data for statistical purposes.